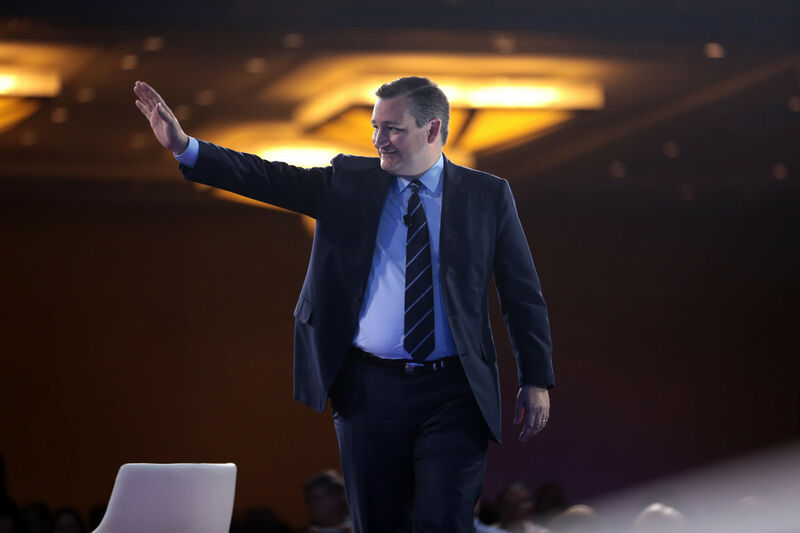 When word got out this week that Justice Anthony Kennedy was retiring from the U.S. Supreme Court, we wouldn’t be surprised if Sen. Ted Cruz danced a little jig out of pure joy at the news. The famed Constitutional scholar—he clerked for Chief Justice William Rehnquist—had to know that this was going to mean something for his own re-election campaign. Why? Well, Cruz has found a formidable opponent in Rep. Beto O’Rourke, the Democratic congressman from El Paso challenging Cruz for his seat in November. As we’ve noted before, despite the predictions that Texas could turn blue or at least some shade of purple that have cropped up regularly in recent years, the state is still heavily, reliably Republican, meaning it will take a lot to unseat a GOP senator here, even one as controversial and routinely disliked within his own party as Cruz. And yet, as the race has played out, O’Rourke has managed to stay in the running. He’s been on the road constantly, visiting every county in the state, and offering up a platform that threads the needle by being liberal on the social front—he’s pro-LGBTQ rights, of course, and has decried the way immigrants are currently being treated by the Trump administration—while still taking nuanced approaches to issues like the question of gun control (he’s pro-Second Amendment but in favor of background checks) and wants to push for more infrastructure projects, something badly needed in many parts of the state. 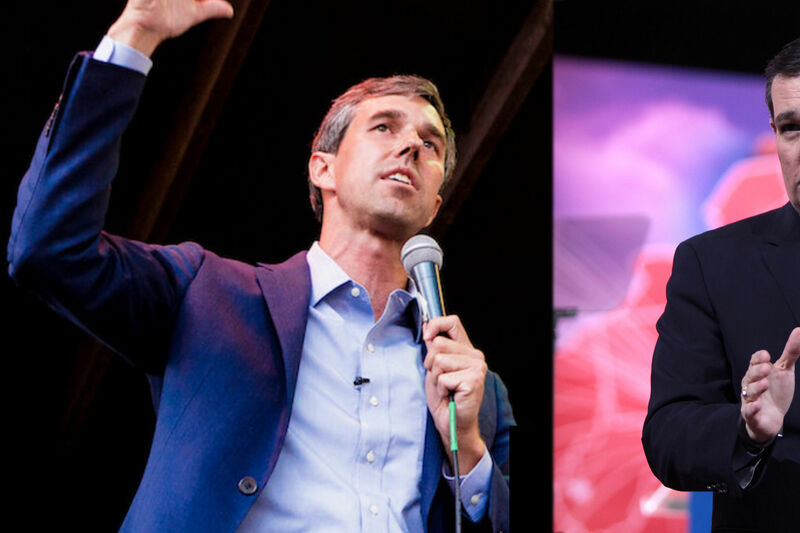 O’Rourke has gone from chasing after Cruz in the polls by only 11 points in late May to now only trailing the junior senator by five points, as of this week. Cruz has gone from doing his same old dog-and-pony show to having to really make an effort. He certainly didn’t play one-on-one basketball against Jimmy Kimmel as a lark. When outrage over family separation reached a fever pitch Cruz stepped in and announced he was going to introduce legislation to stop it. It seems like Cruz has noticed that O’Rourke is doing well—his campaign events draw hundreds of people—and he is even making some headway in his courtship of conservative and rural voters. In a race based on personal draw and appeal, Cruz is looking vulnerable. Which brings us back to the Kennedy business. After the justice announced his plan to retire from the court, Cruz suddenly got an issue to stump on that has nothing to do with whether people like him or not. 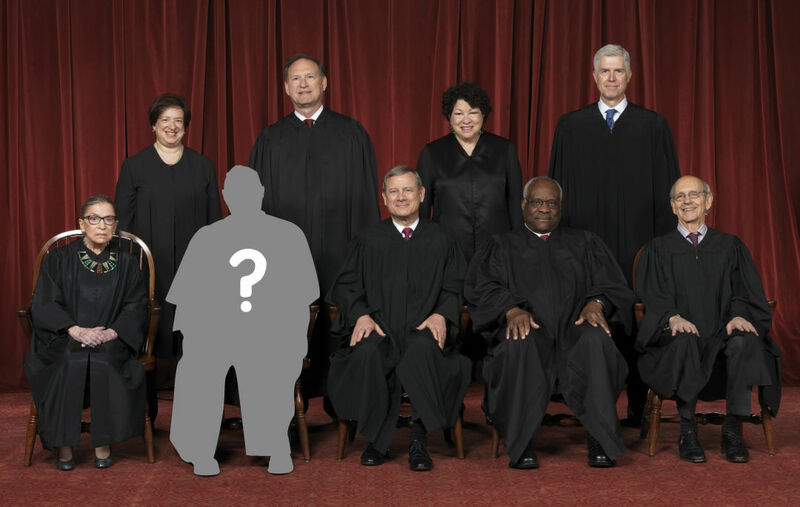 The GOP made the empty seat on the Supreme Court bench a crucial campaign issue in the 2016 presidential elections, since filling Scalia’s seat meant keeping the court balanced with four liberals, four conservatives and Kennedy, who was appointed by Reagan but the resident swing vote on the court. After Republicans refused to give President Barack Obama’s nominee to replace Justice Antonin Scalia a hearing, keeping the famed jurist’s seat open for nine months leading up to the election, even conservatives who didn’t care for Donald Trump as a candidate held their noses and voted for him. A seat on the court trumped, so to speak, any other reservations for some voters, and rallied many who might not have gone to the polls just to back Trump. That’s a lesson that Cruz cannot have missed. Right now, the Senate is (just barely) in Republican control, 51 to 49. Thanks to a change to the Senate rules last year, taking the number of votes required to confirm a Supreme Court nominee from 60 or more down to 51 or more, as long as Senate Republicans vote in a lockstep they have a decent chance of confirming whoever Trump puts up to replace Kennedy, even if the Dems vote unanimously against it. If Republicans manage to get someone confirmed before the midterms, Cruz will have a win—and one he can take credit for since both he and Sen. John Cornyn sit on the Senate Judiciary Committee—and if the seat remains vacant he’ll be able to campaign on both the need to maintain GOP control of the Senate and the balance of the Supreme Court. 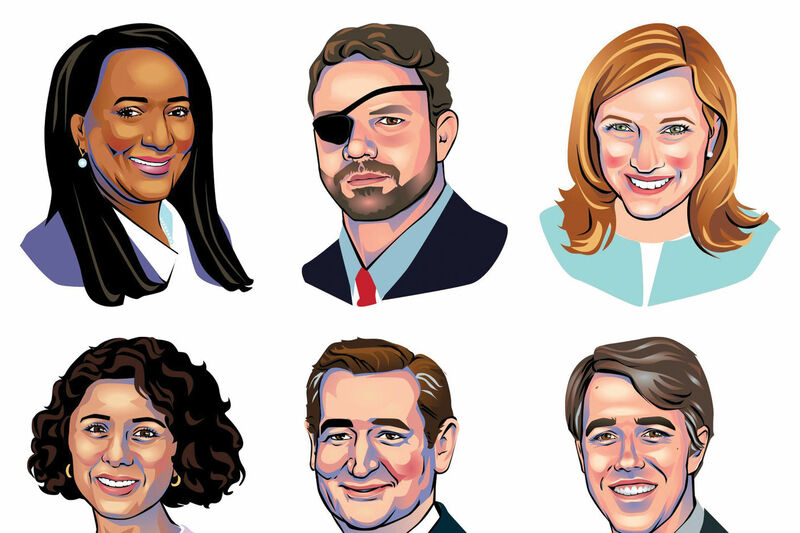 Cruz isn’t always great at being personable, but the former SCOTUS law clerk knows the high court and will easily get across how important his role in shaping the future makeup of the court will be. There’s an opening for O’Rourke as well. The way Congress Republicans handled the Merrick Garland nomination sat badly with a lot of Dems. If the GOP leadership reverses itself as they’ve already said they will and slams a nominee through the confirmation process only four months before midterms, that could have a rallying effect on voters from the left too. Additionally, when you throw in the concerns that a conservative justice on the court may lead to reversals on issues like abortion, immigration and LGBTQ rights, liberals could show up at the polls in droves if O’Rourke plays it right. “After today, this race to represent Texas in the Senate matters more than ever,” O’Rourke tweeted on Wednesday. On Thursday Cruz sailed in with a reply. Cruz’s campaign sent out an email calling for donations to keep the Republican Senate majority on Thursday, and on Friday morning the Texas Republican Party sent out another electronic missive urging people to chip in to Cruz’s campaign specifically because of the vacancy on the court. O’Rourke’s did as well. “Everything we care about is on the line,” an email blast from his campaign stated. 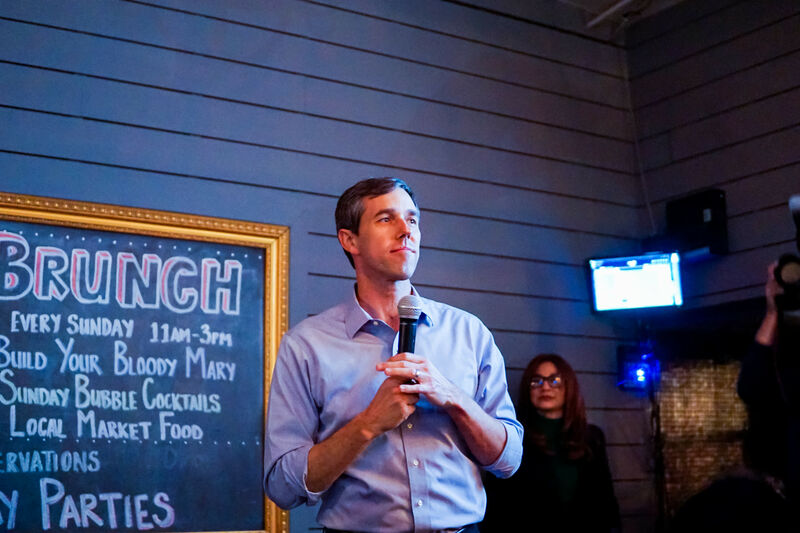 "Each of us has to do everything we can to make sure Beto is in the Senate when the next confirmation vote is called."